What is Women of Impact about? 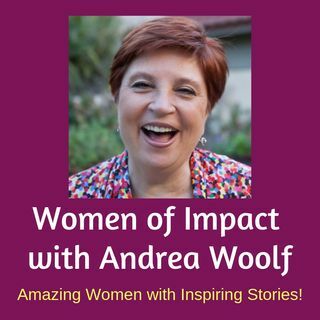 Listen to Andrea Woolf on this first episode to learn more, and find out how you can connect to this community of Women Entrepreneurs, Executives and in Office. Click on this link http://andreawoolf.com/gift to claim the Blueprint that Andrea offered in this episode. Please review this episode and subscribe to the podcast.